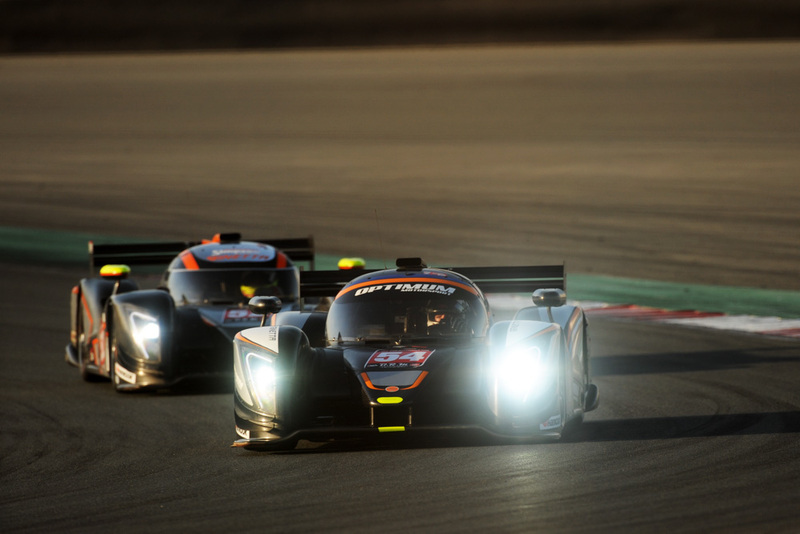 While Part 1 of DSC’s discussion with Ginetta factory driver and commercial manager Mike Simpson centered around ACO-sanctioned prototype racing, in Part 2 Ginetta’s G57 prototype was the topic of choice. One year on from the car’s launch at the 2016 Autosport Show, there’s plenty of them competing around the world. 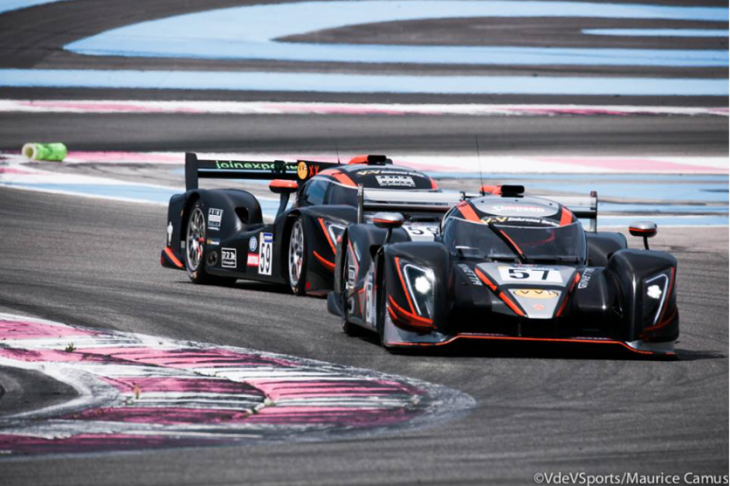 The most common place is in Europe, where the company’s customer teams race in the VdeV series and took part in the 24H Proto Series’ demo races in Dubai back in January ahead of the new series’ first full season. Indeed one car won just yesterday in the Homestead 500 (below), racing success in the United States seeing a boom in stateside orders. 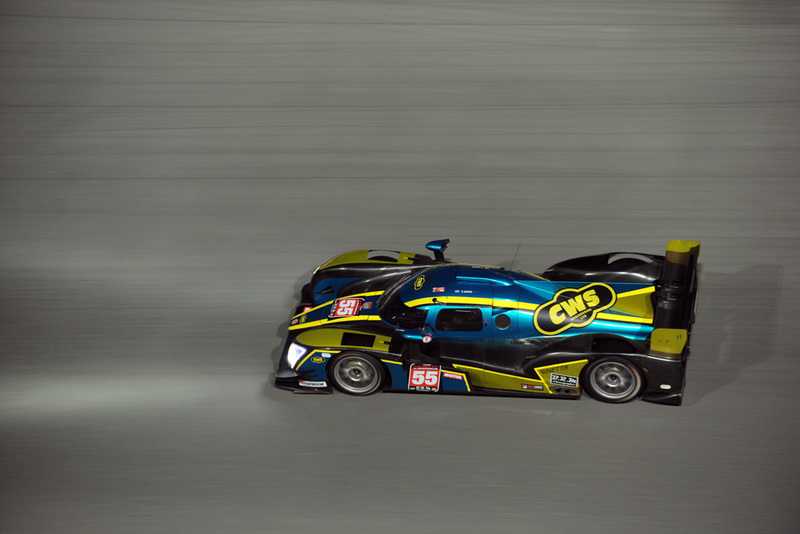 So Mike, the start of 2017 for the G57 has been centered around the first of Creventic’s 24H Proto races in Dubai. 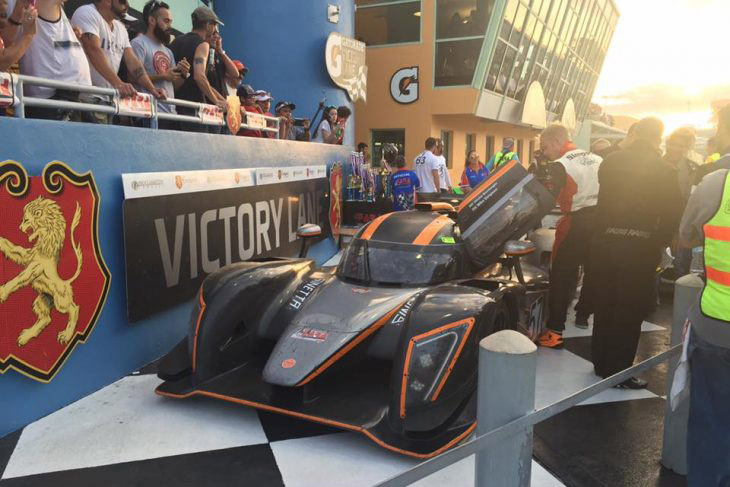 What were your impressions of the new series after competing in its inaugural races? It’s unusual to see a series which just caters for prototypes. Is that appealing to prospective teams? “It is. Having no GT or touring cars is odd, but the variety in the prototypes is such that the cars achieve their lap times very differently. The CN’s are slower down the straight but are light and nimble round the corners. “Back in Dubai though, I didn’t like that they balanced all the classes by making the faster cars like the G57s spend longer in the pits. The pitstops for the G57s were a bit too long, and being balanced against a CN car doesn’t work for us really. I don’t see why we should be balanced with older cars, it’s a confusing message. Do you agree with Creventic’s decision to open up the rulebook to make older LMP2 cars eligible to compete? “There’s a lot of the older LMP2 cars out there and not a lot of places to race them now, so it’s great, hopefully we’ll race them with the G57. 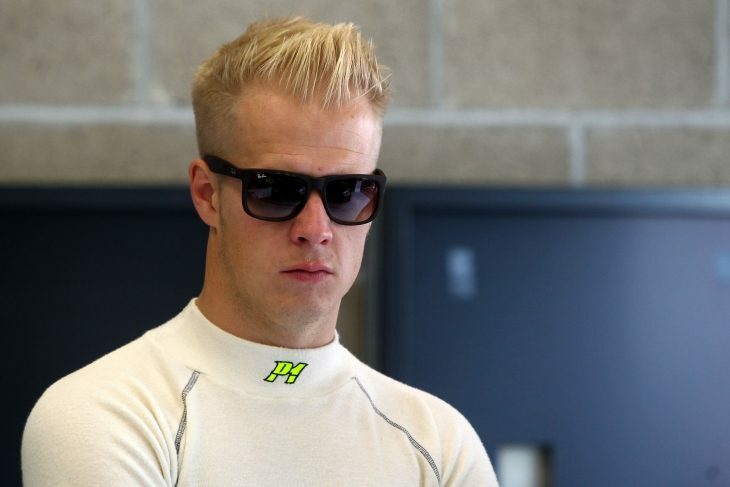 “Our car is as quick as the older LMP2 cars, the only problem is that the older cars are very expensive to run so it’s hard to say if there will be a lot of teams entering them; as we’ve got a much more affordable model here with the G57. Last year the G57 competed in the VdeV, as you mentioned earlier. How did that go? Did it spark a lot of interest in that paddock? “Yeah, people in the paddock loved the car. It was all about getting over the initial hurdle, because people won’t commit straight away. The regulations in VdeV weren’t great earlier on, and we were losing over two laps on an LMP3 car initially just in pit stops. Why would someone invest in that without seeing the full package and its capability of winning races? “In the end though, we’ve got lots of customers, lots of good drivers from all over the world, and we’re really still experimenting. 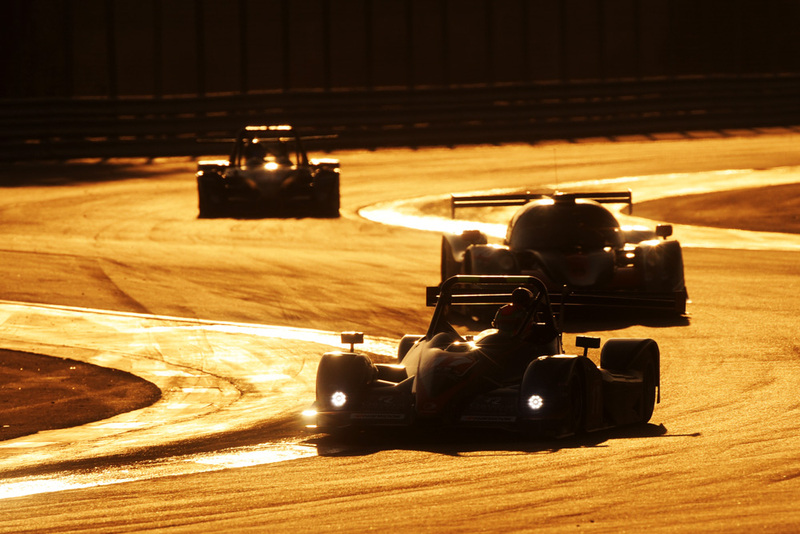 We’re helping mould series like the 24H Prototype, and it will grow. We’ve created the G57 because we want to give people the chance to race a prototype which is affordable to run and good on the performance side. Creventic’s 24H Proto and the VdeV is the sort of series which is great for our brand. “The G57 is controlled by us and its a Ginetta through and through. “The VdeV series is underrated massively. You’ve got world class drivers who compete in it like Andrea Montermini and Rui Aguas, factory drivers there racing GT and prototypes. 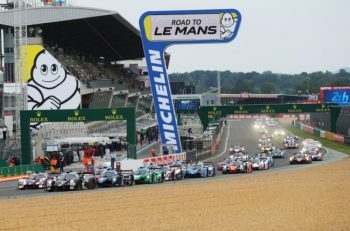 The four and six hour races are also on some of the best circuits in Europe. “The organisation is great too, the guys running VdeV are by far the most friendly and professional organisers I’ve ever worked with. They’re so good to their teams, everyone feels it’s fair, they listen, they ensure we’re all together when we eat and drink too, which creates a great paddock atmosphere. It’s good to see that the G57 customer base is made up of some loyal Ginetta teams, who have made the step up from racing with your GT3 and GT4 platforms. You must be pleased by this? Was it an easy sell to those teams? “No, not initially. But when things started to firm up we can offer people an incredible car, which you can drive in series like VdeV and 24H Proto where you’re out in the sun during a weekend, driving great cars that are 10 seconds a lap quicker than GTs. In terms of cost vs performance the value is great, but getting out the message has been hard. “The news about potential issues between Creventic and the ACO also didn’t look good for our prototypes, but we’re way past that now, so the G57 platform has grown. How has it worked thus far? Are the customers going racing with you with G57s leasing them or buying them outright? “It’s different depending on the teams, some are buying their cars, some are leasing them. Look at a team like Graff, they’re great to have onboard. 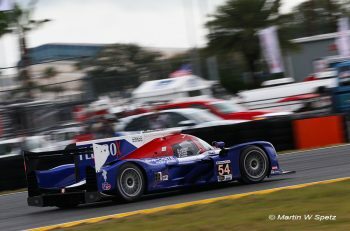 We hope to keep working with them, because usually we are racing against them in the Ligier, but now they’re with us too. For Graff to want to run Lawrence and I in a G57 is great.